While this image might look ominously familiar to anyone who is in the midst of a bath remodel, imagine having it as permanent facility. Earning its place in our dog-day-relief campaign is this bathroom from a Russian submarine [Foxtrot class, built from 1957 to 1983]. 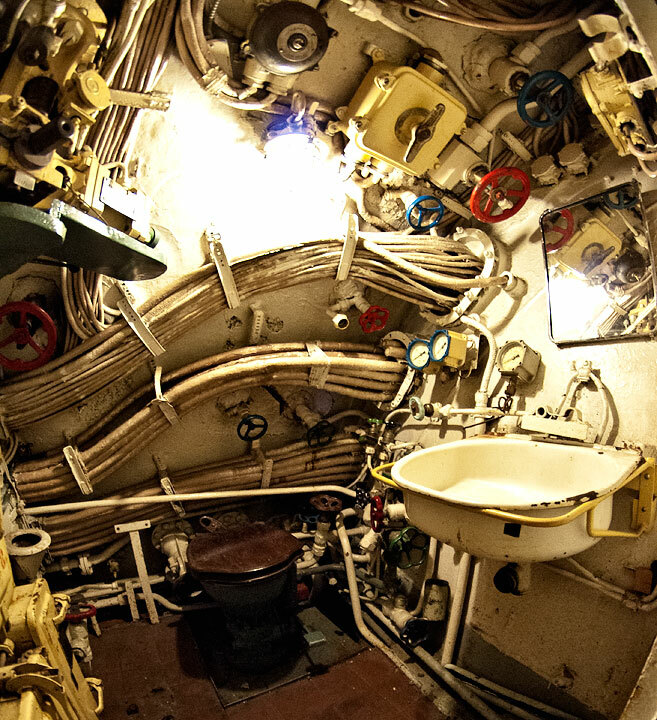 Yes, that is the sink peeking out from amid the Dali-esque tangle of conduits, valves and gauges.